A Plymouth-based charity has warned that the number of cases of animal cruelty to horses has increased. This comes after the charity recently rescued two horses while their owner was on holiday. Corey, a co-founder of Ponderosa, described how the horses had bad teeth, poor diets and were poisoned by the plants in their field. Heart spoke to Corey, who said that people had bought horses to try out riding, or just because they have a spare field are finding how time consuming and difficult it is to look after them full-time. When winter months approach, newer owners are not always willing to go out in the cold to tend to their horse. As well as neglect, owners may not wish to pay for medical bills to keep the horse healthy. Heart was given videos of the recent rescue which took place at the weekend. 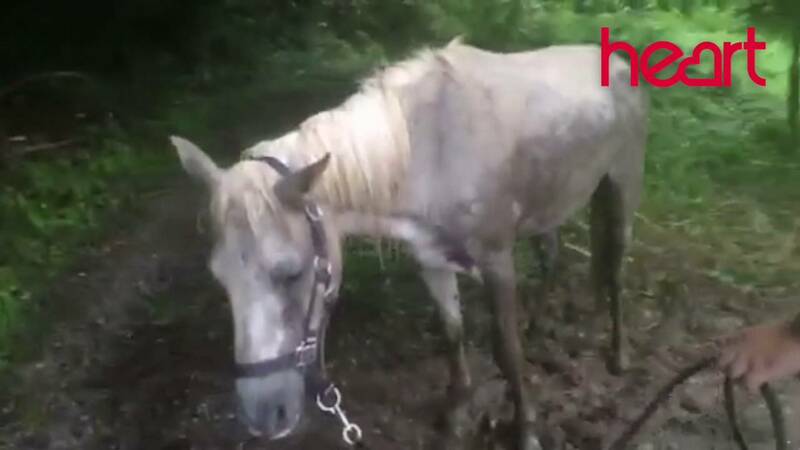 In this recent rescue, sadly only one of the horses survived.